To date, Keogh Bay has assisted close to 100 disability service providers across Australia transition to the NDIS, enabling them to remain sustainable while providing the best outcomes for people with a disability. We’ve completed numerous NDIS transition projects on behalf of government clients and small to medium-sized disability service providers. In particular, we have unrivalled experience in successfully working with providers located in regional and remote parts of Australia. When it comes to national projects, we work in partnership with the Synergy Group in Canberra, one of Australia’s fastest growing accounting and consulting firms. Our combined know-how helping organisations establish sustainable operating models and successfully transition to the new NDIS environment is unrivalled. 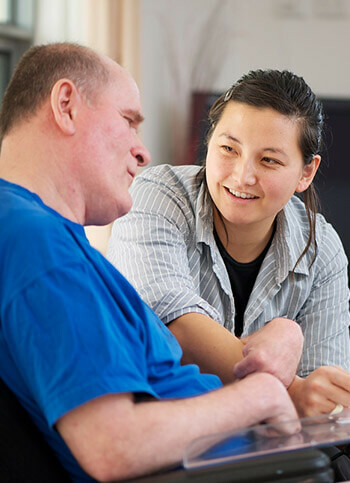 Keogh Bay offers a wide range of services designed to assist organisations in transitioning to the NDIS. Our detailed understanding of the NDIS and how it will impact the future of your services, workforce, pricing structure, and community relations as well as our client-centric approach and outstanding communication skills are what sets us apart. Analysing the continued viability of existing service delivery models under the NDIS. Feasibility studies in respect of the expansion of NDIS services into new geographical areas or new service offerings (including SDA and SIL projects). NDIS focussed marketing plans – including detailed demographic and market analysis. Providing governance advice in respect of NDIS transition. Conducting IT readiness reviews including independent advice on appropriate client management systems and financial management systems. Developing business and strategic plans. Building tailored financial modelling tools. Assisting Aboriginal Medical Services and Corporations become sustainable NDIS service providers. Developing policies and procedures that meet quality and safeguarding requirements. Developing people-centred and culturally secure service models and frameworks. Assisting organisations to expand their service lines as per NDIS guidelines. Offering guidance on measuring outcomes and consulting with people with a disability as well as their families and carers. We have supported over 60 Australian Disability Enterprises (ADEs) transition to the NDIS. We developed the ADE NDIS Transition Self-Assessment Tool on behalf of DSS. Our team analysed more than 100 ADE NDIS transition business self-assessment tool outputs on behalf of DSS. Keogh Bay completed 21 NDIS transition projects in the Northern Territory as part of the NT Government’s 2017-18 NDIS Business Readiness program. We developed and facilitated 10 NDIS readiness workshops in Alice Springs and Darwin on behalf of the NT Government on subjects like NDIS Governance Essentials, NDIS Workforce Planning, Marketing your NDIS Business, Small Business Opportunities in the NDIS, and Getting Started in Business. Our capacity to tailor our services to ensure they will add value to your organisation. Our broad commercial skill set which allows us to apply proven solutions across a range of business arenas. Our team has a robust network which powers the timely dissemination of information plus the sharing of collective learning. Further to our work in the disability and not-for-profit sectors, Keogh Bay has worked extensively in regional and remote Australia on projects involving community engagement and consultation, cross-cultural training, economic development, and business feasibility studies for numerous corporate, government, and community-controlled clients. Jonathan Price on 0423765437 or by email to jonathan.price@keoghbay.com.au. David Muller on 0417811529 or by email to david.muller@keoghbay.com.au.